Rabbits! There are so many rabbits! 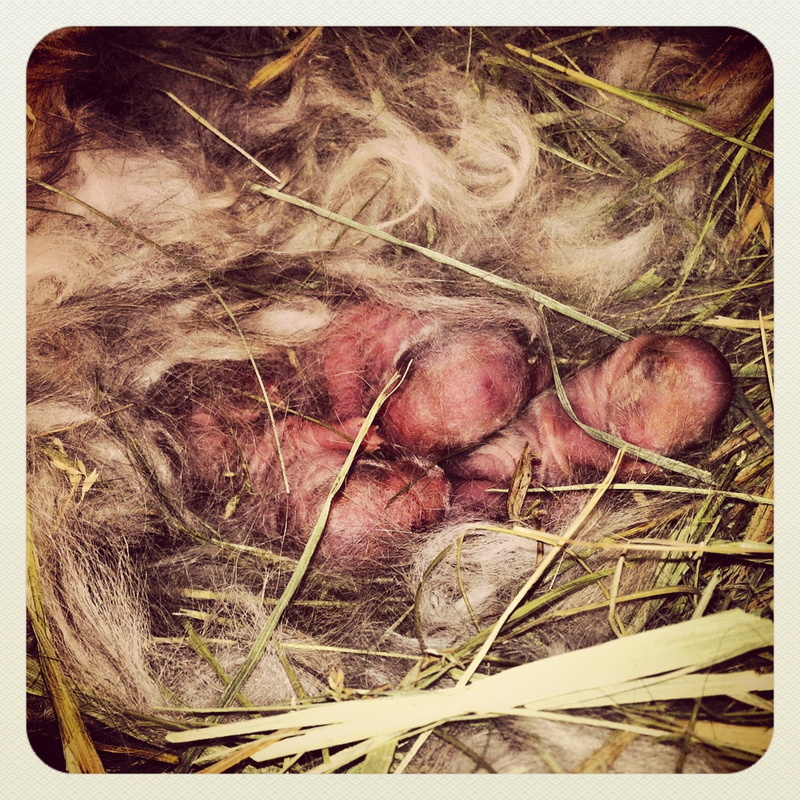 It’s been a busy weekend for us – three does from three different breeds gave birth! Our Champagne d’Argent, Silver Bell, Silver Fox, Ceres, and Silver Marten, Bonfire, all had large, healthy litters and we’re still waiting on one more mama to pop any time. That’s a wonderful place to be because getting stock that produces and raises what they bear is quite nice and all of these does are proven and have our trust. They don’t typically lose any babies. Having all of this happen at once is also a bit scary because the size of our rabbitry doubled in a day! Whew! We’ll have babies for sale soon! 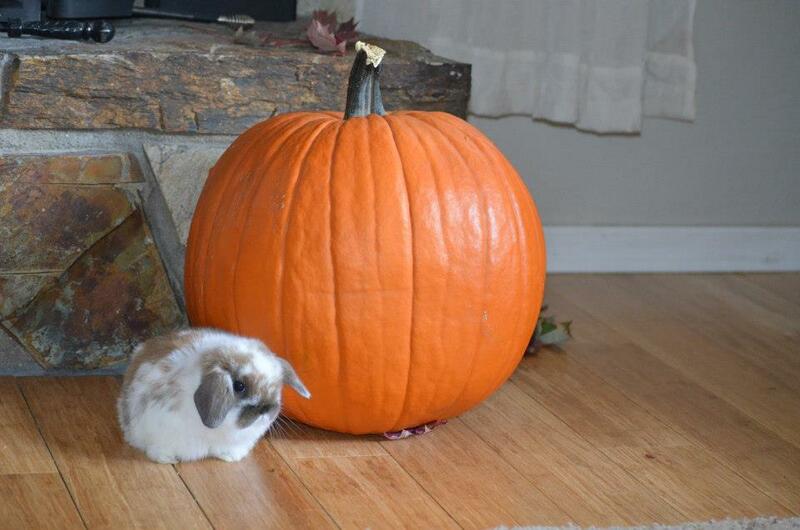 Silver Bell threw us a curve ball this time, however, and I thought it would be worth writing about as our friend Primrose the Holland Lop did something similar a few weeks ago. While I was feeding and watering the rabbits yesterday morning I noticed Silver Bell looked… distressed. We had given her a hard time because she had taken all of the hay out of her nest box and put it in the corner of her cage on the wire. We called her crazy and put the hay back in the nest box, and she began to gather it in her mouth and start to move it out again. We decided to let her be and went on with our chores. When I came back by in a few minutes I saw the hair around her eye brows was different and I just knew she was in labor. I put my water bottles down and sat still. Within a few minutes I watched Silver Bell deliver a kit, right in front of my eyes! She popped that baby out on the wire in the spot she had tried to make a nest before we took her hay away. I didn’t want to disturb her, so we left for a bit. When we came back the kit was still alive but she had not pulled any hair. She was still rearranging her hay and didn’t give the impression she was finished delivering. My husband pulled her out and palpated her – her stomach was still hard as a rock and it seemed there were babies still to be had. We spread hay all over the wire of the cage and let her be. We took her little kit, which was starting to get cold, and tucked it into a warm place for a few hours. When we checked her again mid-afternoon and there was still no hair pulled and no babies we identified the newborn singleton with sharpie marker and put it in with the silver fox litter that was born that morning. Bed time came and we checked Silver Bell – this is a doe with a proven track record as a mom! She’s a great girl! She was pulling hair frantically and putting it in her hay nest on the wire. The nest box was right there, unused and full of hay. Very strange. To make a long story short, when we came out this morning Silver Bell had a nice little nest of hay and hair set up in the corner of her cage and nine little babies tucked inside! She delivered the first kit and the other nine at least 14 hours apart from one another! We got the original kit out of its foster nest and tucked it in with its siblings. Covered in marker but none the worse for the wear. 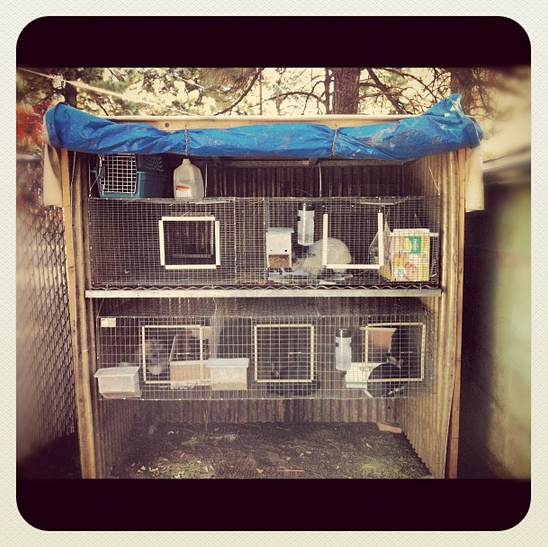 I mention this because I always expected a rabbit to deliver their babies on Day 31 within about 10 – 15 minutes. That’s what all the experts and books say… yet yesterday’s experience proved this isn’t always the case. Duchess, a Champagne d’Argent, always delivers on Day 33 or 34 (once even on Day 36!). I’ve read raspberry leaves can help when a doe is in labor. We don’t have a supply of those handy, so I’ve made Raspberry Zinger tea for our does. I can’t guarantee it’s helped them, but I do know it hasn’t hurt them at all! We also typically follow up the birth with a yummy treat like carrot, apple, banana, or celery and a couple of calcium-enriched antacid tablets. 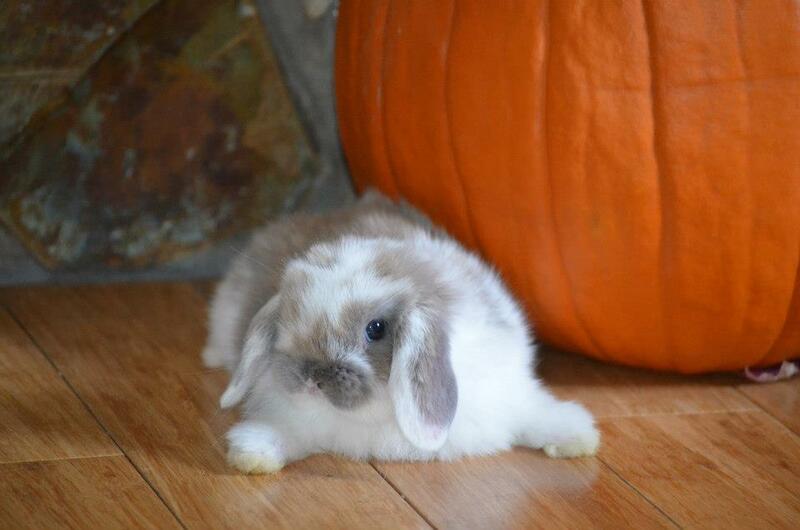 Good luck with your litters – I’d love to hear your stories of non-traditional rabbit births! While most “baby” animals end up looking cute, the majority are born looking pretty… well… pathetic. Baby bunnies are no exception. 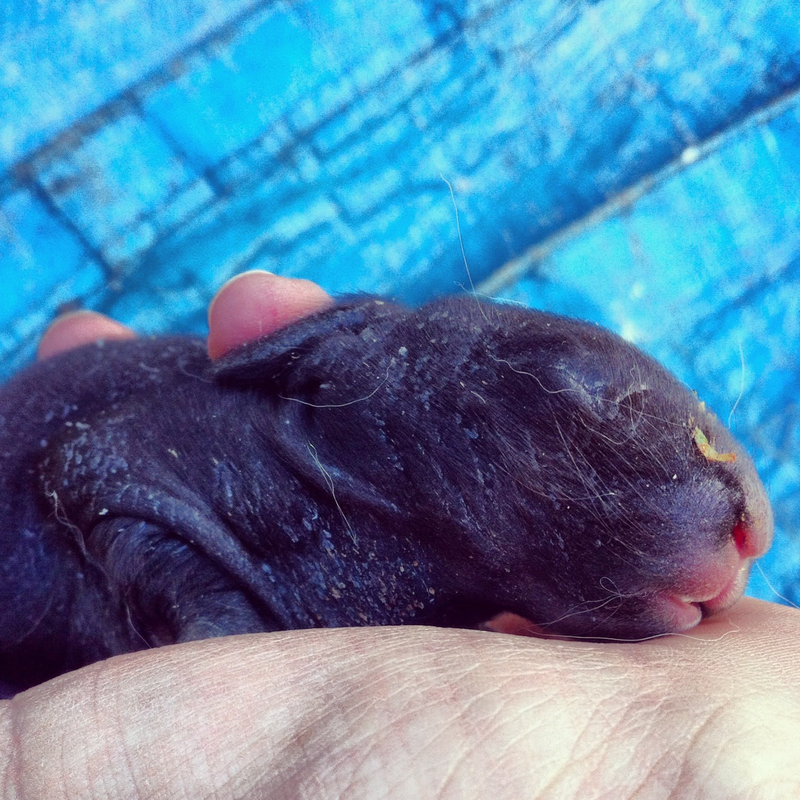 Baby bunnies are born hairless, with their eyes and ears closed. They are very susceptible to death, as they can get chilled quickly. Mama pulls hair out of her dewlap (basically a double chin with purpose!) and uses the hair as insulation for the litter. 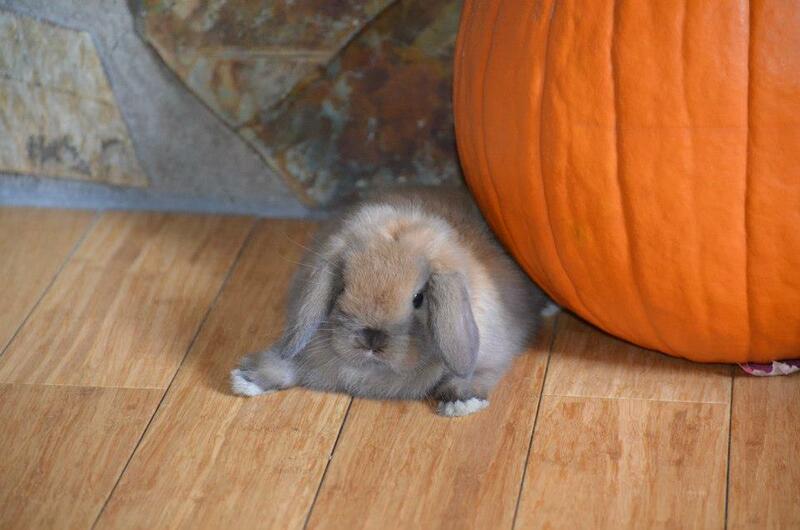 Holland lop litter, hours old. And, did I mention they’re ugly? Mama rabbits will nurse only once or twice each day and stay away from the babies in the meantime. 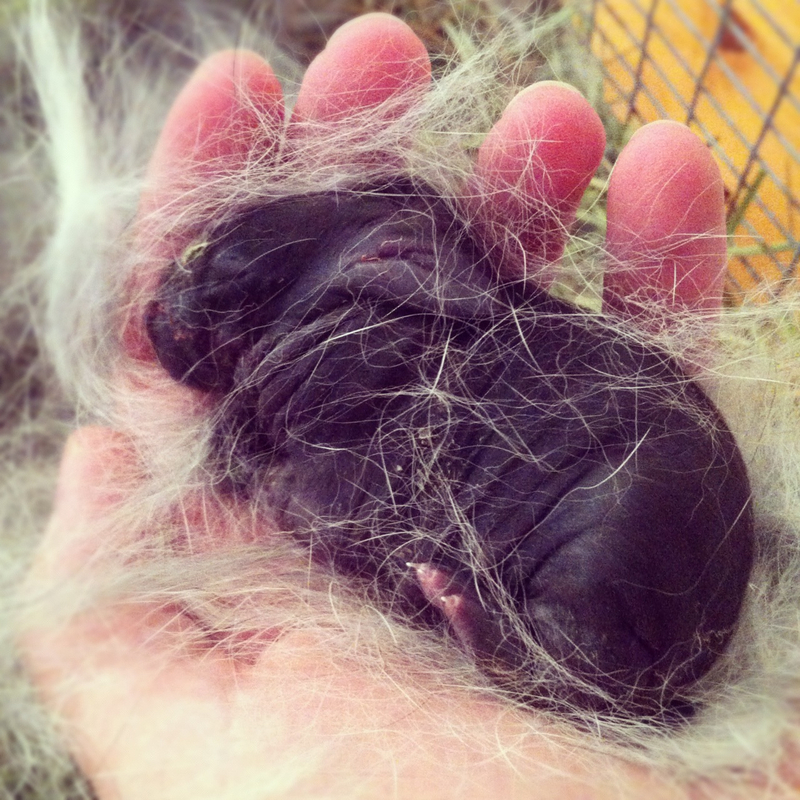 Somehow, even without much nurturing, love and support, the baby rabbits will gradually grow hair and fill out. Champagne d’Argent, three days old. The wisest course of action during this time for a human is to simply leave the babies alone. Check them once, maybe twice, each day to be sure you don’t have a dead baby in the nestbox. (Distracting mama with a bit of apple, carrot, or celery is a good idea.) Other than that, just let time take its course and mature the babies. 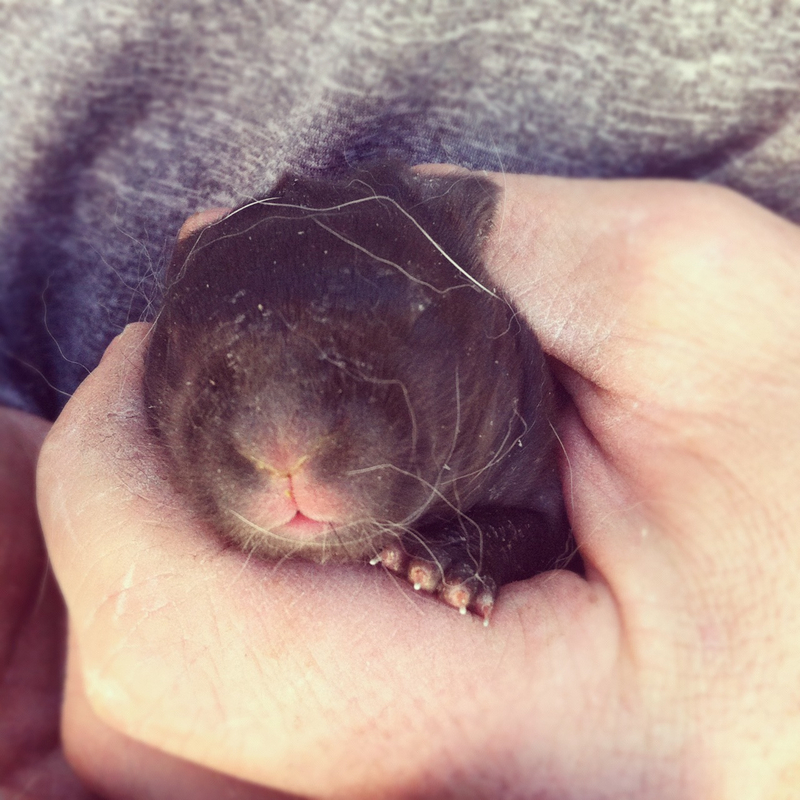 If a baby bunny is born pink, odds are it will be white. 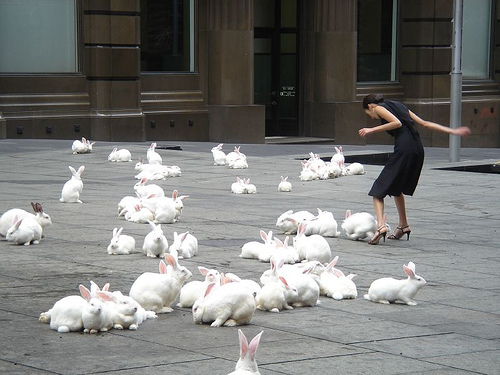 Black skin color is equal to black bunnies. Champagne d’Argent, six days old. We’re excited every time we have a new litter – and patience is hard! But healthy baby bunnies are what we’re after, so it’s best to let the mama do what the mama does best and stay out of the way!